The League for Industrial Democracy (LID) was established in 1905. Early members of the organization included Upton Sinclair, Clarence Darrow, Jack London, Walter Lippman and William Walling. The LID were advocates of a planned economy and socialism. At the time, the LID was seen as the American equivalent of the British Fabian Society. 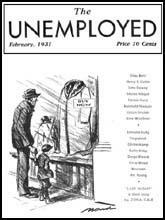 In December, 1930, the League for Industrial Democracy in New York City established The Unemployed magazine. The 32 page paper was priced 10 cents per issue but the unemployed could buy it for 5 cents a copy. Edited by Edward Levinson and Mary Fox, contributors included Norman Thomas, Upton Sinclair, Morris Hillquit, A. J.Muste, John Dewey, Robert Lovett, Daniel Hoan, Frank Murphy and H.N. Brailsford. cities and they cannot be sure of a roof over their own heads." 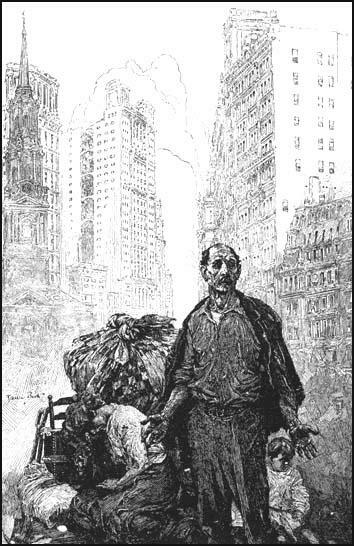 Illustrators who supplied drawings and cartoons included Art Young, Boardman Robinson, Edmund Duffy, Denys Wortman, John Sloan, Daniel Fitzpatrick, H. J. Glintenkamp, Charles Dana Gibson, Reginald Marsh, Cornelia Barnsand Rollin Kirby. The Unemployed was a strong critic of Herbert Hoover and his Republican Party administration. When Franklin Roosevelt was elected as president the paper ceased publication. The real responsibility for their poverty, insisted John Edgerton in his presidential address to the National Association of Manufacturers in October, 1930, lay with the jobless themselves. If, he asked, "they do not... practice the habits of thrift and conservation, or if they gamble away their savings in the stock market or elsewhere, is our economic system, or government, or industry to blame?" By John Simkin (john@spartacus-educational.com) © September 1997 (updated June 2018). Power driven machinery makes it possible to support great populations in plenty. It has changed the basis of our civilization from one of enforced frugality to abundance. In spite of its mismanagement it has shortened hours and in many cases lightened the burden of monotonous and back-breaking toil. Yet under the the profit system the story of the progress of machinery is literally written in tears and blood. And for every advance step in technological progress the under dog has paid in the loss of his job. This is true because we have never asked: how can we use machinery to provide more abundant goods and increase leisure for everybody? Instead the profit seeking owners of factories have said: how can we increase profits? It is easy to how that in the long run machinery by making it possible to have more things makes possible more jobs as well as shorter hours of labor. But men eat in the short run, and in the short run the boss introduces a new machine in the hope of making an immediately greater profit, which profit is very often realized only by cutting down his payroll. The employer who does this is not a villain. Under the profit system his business is to make profit. He can't help it if that means giving some men the bitter leisure of unemployment and speeding up others. Only planned production for use, the abolition of parasitic ownership and the increase of spending power in the hands of the masses of the workers will end unemployment. I do not say that this way to end unemployment is easy. In the long run it will have to take account of the whole world and not merely just the United States. The final answer to unemployment and to poverty is intelligent international Socialism. There is no other way. Immediate remedies for some of the suffering of unemployment will be good not only in themselves but because they help our progress toward this goal. Our large industrial cities have been the greatest beneficiaries and the worst sufferers from this transition to a complex mechanization of our economic life. The machine has not only transformed our social environment but has solved the age-old struggle to produce enough to properly feed, house and clothe the human family. In the past families periodically visited the peoples of the world, taking a toll of millions of lives. The machine has multiplied production on the farm and in the factory ten-fold. The problem is no longer one of famine due to under-production. The machine has changed all of this to one of danger of starvation because we can produce too much. The cause of this period of depression is deep-seated, not superficial. 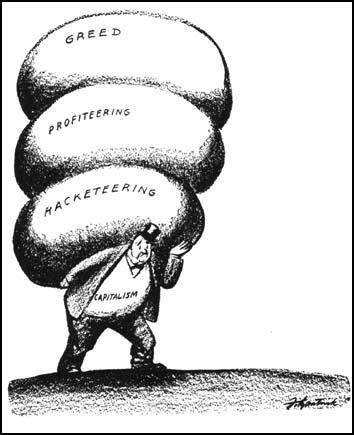 It lies in the fact that the machine has been made an instrument of exploitation of the workers for private gain, and not the means of relieving their burden, shortening hours of work, and allowing more leisure for recreation and the enjoyment of the fruits of their toil. The machine has enslaved the workers, instead of the workers becoming the masters of the machine. The country cannot be restored to its status of artificial prosperity which followed the world war by superficial remedies. A temporary cure can be effected, and Milwaukee and other cities have taken the initial step toward such a cure. But full rehabilitation will not come until the core of the situation is touched. The time has come when widespread unemployment has ceased to be the concern of one group. It is neither the affair solely of the manufacturer nor of the unemployed. There was a time when the contractual relationship between the employer and the employee was supposed to be none of the public's business. That time has passed. Today the stability of employment is the direct business of every taxpayer and every citizen, because they are responsible for the support and maintenance of those who are of jobs. It is the public who must foot the bills and it is the public who most interest itself in the question which has become, not a class, but a social issue. The first consideration of a widespread unemployment situation is a practical, satisfactory relief program. The mapping out of such a program is not an easy matter. For example, in Detroit there are 1,500,000 souls but only 300,000 taxpayers. The taxpayers have been providing heat, rent, light, food and clothes for 45,000 destitute families, the breadwinners of which, in the main, are employed in factories that for tax reasons border on the city limits - just outside, and do not contribute to the support of their former employees. 12,000 homeless men are cared for daily in two lodging houses, one on the west side, donated by the Fisher Brothers, one on the east side, donated by the Studebaker Corporation. 1,800,000 meals have been given and 350,000 nights's lodgings supplied. Two meals are served, each meal consisting of a well balanced, sufficient diet. Ninety thousand lunches have been given to the school children of the unemployed. At present 8,000 children daily are being fed in school. One hundred and twenty-five thousand person have been outfitted with clothes by the clothing bureau; 700 homeless women are being cared for in private homes or small institutions like the YWCA or League of Catholic Women. But the most satisfactory part of the work is the establishment of an Employment Bureau which has given out 21,000 jobs.